I freely admit: The last few books I have read just haven’t blown my mind. In fact, a few were a struggle to get through. However, salvation. I finally have a new book to suggest for you guys & I think you’ll really like it. 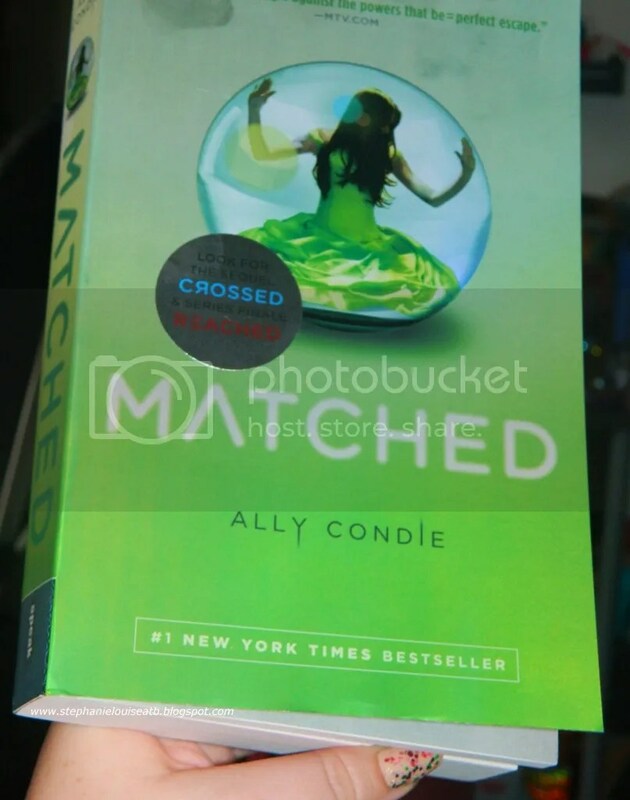 As pictured, I’m of course referring to Matched by Ally Condie. Is it a Young Adult book? Yes, yes it is. Guess what? I don’t care. I may not have been a Twilight fan, but so many of my favorites fall into the YA genre. Don’t judge a book by where they put it in the store! Admittedly, with all the technical issues I’ve had these past few weeks, this book helped. Technology fail, big time. I feel ya, I really do. I’m one of those people who doesn’t want their car driving itself or to be served by evil robots. Take that as you will. So reading Matched description totally reminded me of the famous book 1984 which I read back in high school. A futuristc place where people get bossed around for what seems like ridiculous reasons? Check. The different really is that I got really into Matched whereas even after trying to read 1984, it just wasn’t the page turner I wanted. The basis of this book is edgy & new, with a controlling government that “matches” everyone to pretty much everything in life. This isn’t your run of the mill love story folks, it has so much more going on. Matched (& the following sequel Crossed & finale Reached) are being touted as the next Hunger Games series & that is a lot to live up to. I can definitely see it though! This is one of those books I had serious issues putting down, the kind where you get drowned in unwashed dishes & piles of work pushed to the side? Luckily, I am a bookworm vixen so I finished this in less than 2 days while still getting a few things done (such as sleeping + showering) but I am awaiting the next book. BlogHer is discussing everything Matched on their site so if you’re interested in learning more, I suggest you check it out! What do you think, does Matched sound right for you? If not, what are you currently reading? This is a paid review for BlogHer Book Club but the opinions expressed, as always, are my own.